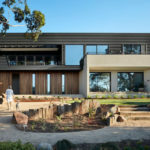 Smart Design Studio have designed the Lamble Residence, a house that overlooks a beach located on the south coast of New South Wales, Australia. 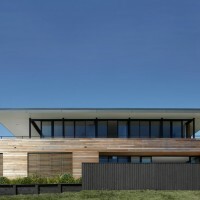 This house on the south coast of New South Wales was designed as one of a pair of modern beach houses occupying a greenfield site overlooking beautiful Gerringong beach. 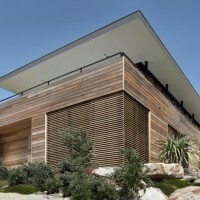 The site is part of a new land release on the edge of a sleepy coastal town. 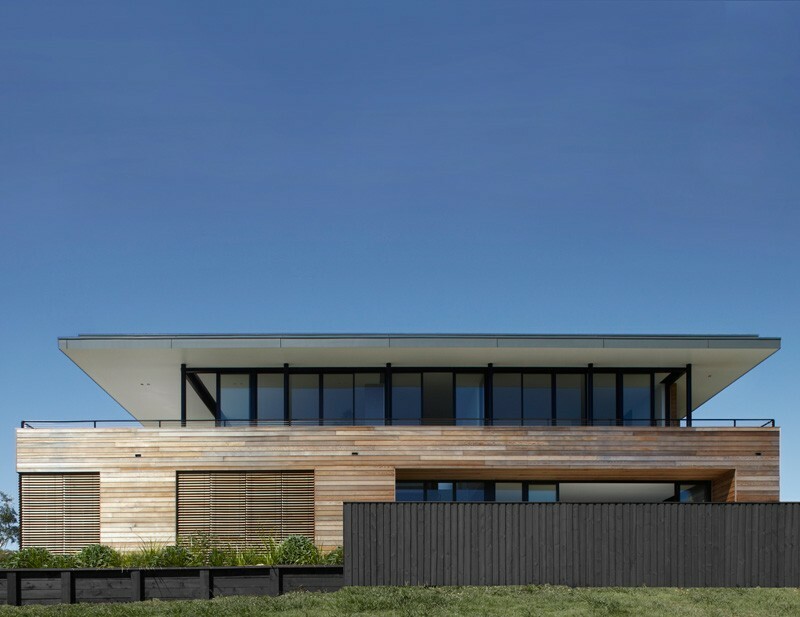 From its elevated position, the house enjoys 270 degree views of the ocean, adjacent headland and evergreen hinterland beyond, which form part of the Great Dividing Range. The setting is breathtaking. The design deliberately challenged local planning provisions, which strictly dictated how to configure the building’s rooms within the site. 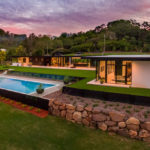 We chose to make the most of the views as well as the sunny and protected northern aspect by locating the living and sleeping spaces on that side. This relegated the service rooms including the bathrooms, laundry and garage to the south. 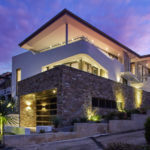 Surprisingly, this logical approach resulted in the local council refusing the first development application, which was later realized achieved through an appeal and minor modifications. 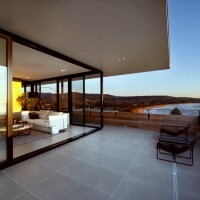 In addition to reversing the council’s planning dictates, we split the conventional planning configuration by locating living room, second kitchen and master bedroom upstairs, where the views are best. 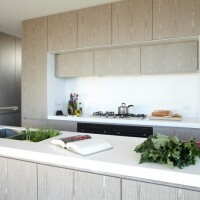 Downstairs, the main kitchen, dining, family room and other bedrooms open up to the north and the mountains to the west. 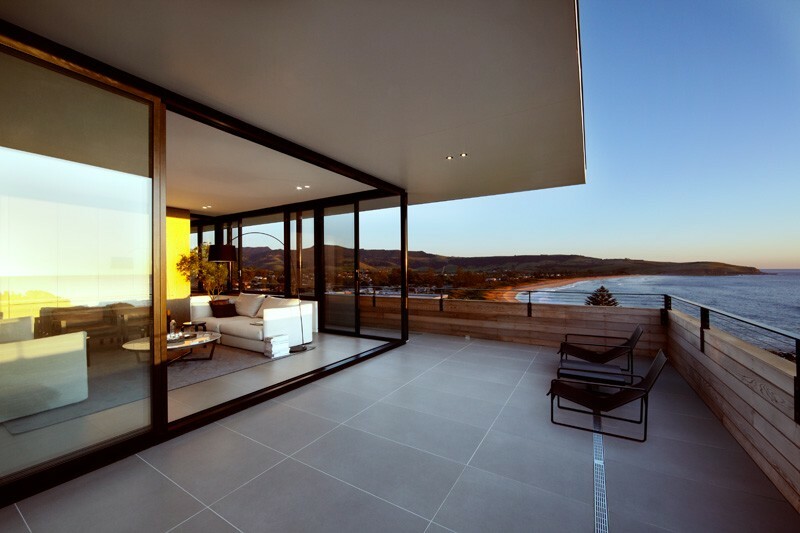 All of the rooms open onto generous outdoor spaces, located on different sides of the house, ensuring protection from the ever changing and strong winds. Thus taking cues from the beachside location, to create a weekender set up for casual entertaining. 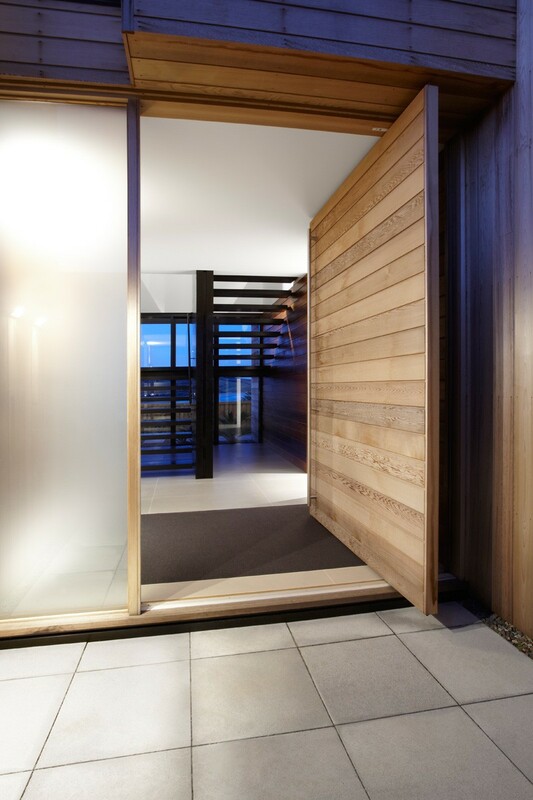 As with most of our projects, we adopted a key Smart Design Studio planning principle, to minimise reliance on doors, but rather let space flow around cores of joinery and uninterrupted blade walls. 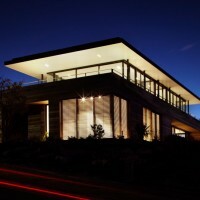 The form is extremely simple and the facade has a very confident approach to solid and void. 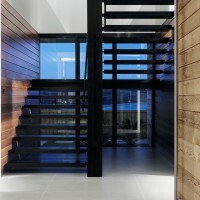 Large walls of glass on the upper floor and deep shaded terraces are afforded by the generous cantilever roof. 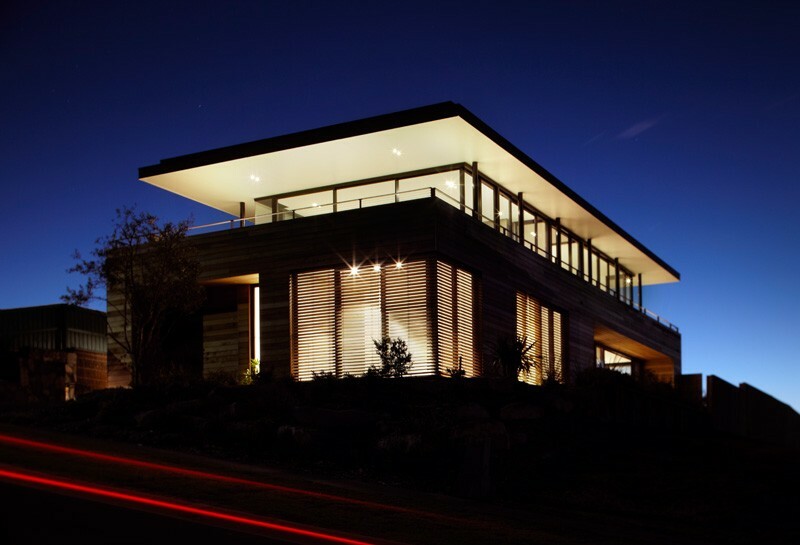 These hover over the cedar-clad ‘box’ below, which has either deep reveals or timber adjustable louvres to temper the environment. 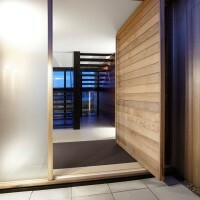 Naturally, the use of glass and solid relates to the rooms contained within, where more private spaces are more protected than the more public areas. 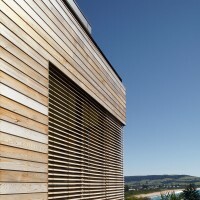 The timber cladding, a classic beach house material, folds to create a solid balustrade to further improve privacy. 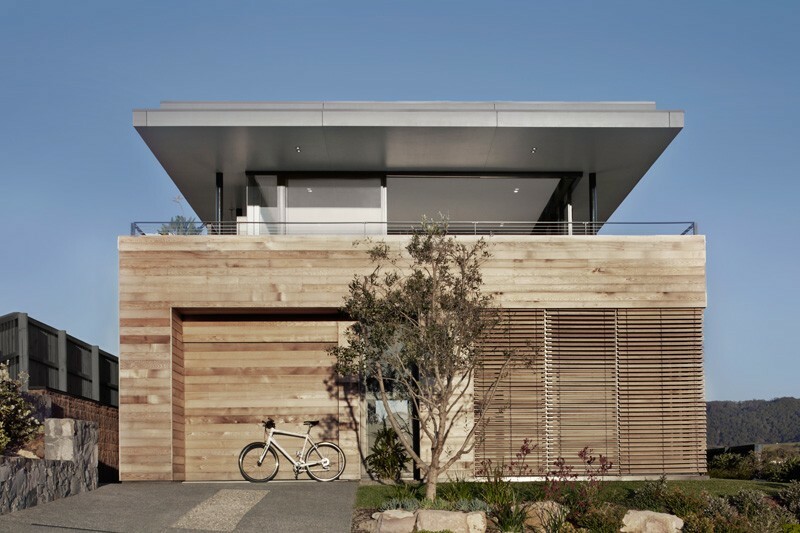 With time, the strong coastal light will cause the timber to fade like a piece of driftwood, and the house will settle into the harsh landscape. 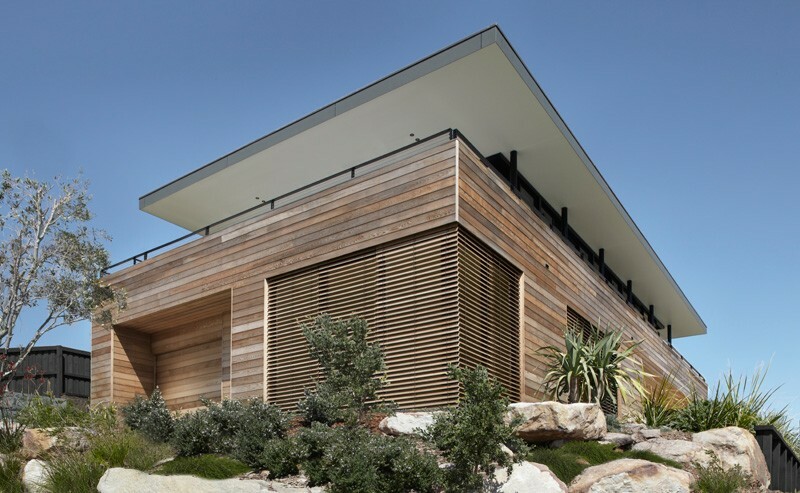 The garden has been planted in a scrubby coastal style, using species from the immediate surroundings, and will mature and evolve over time. 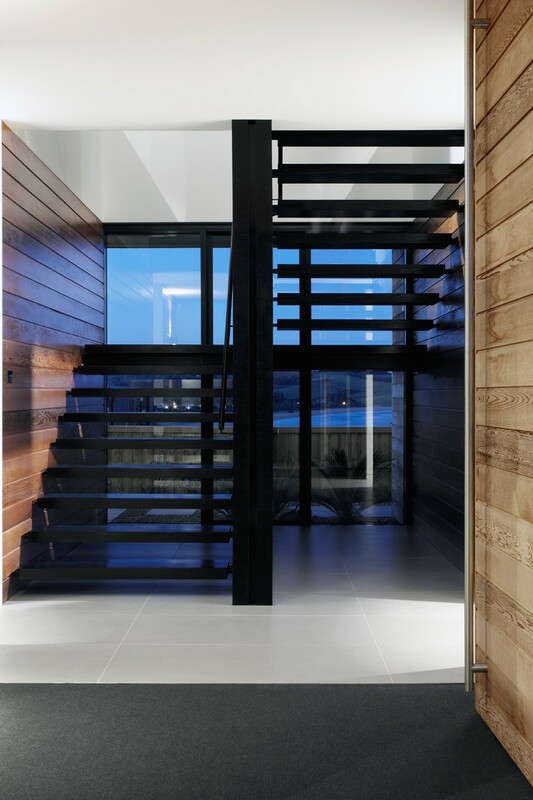 That timber then extends inwards and becomes part of the interiors, through wall cladding in key areas, limed oak joinery and blackened features such as the stair, to further blur the relationship of the inside and out. 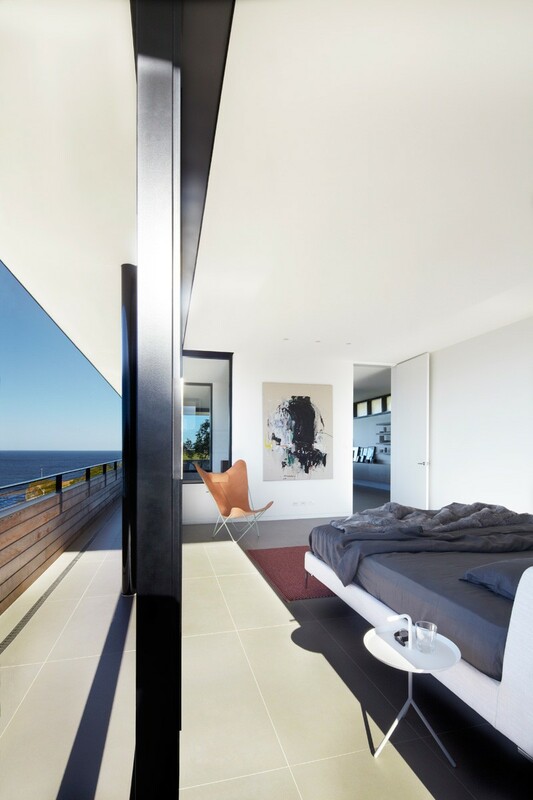 This is complemented with grey large-format vitrified tiles throughout and crisp white walls, sculpting a neutral base for art and the ever-changing environment. 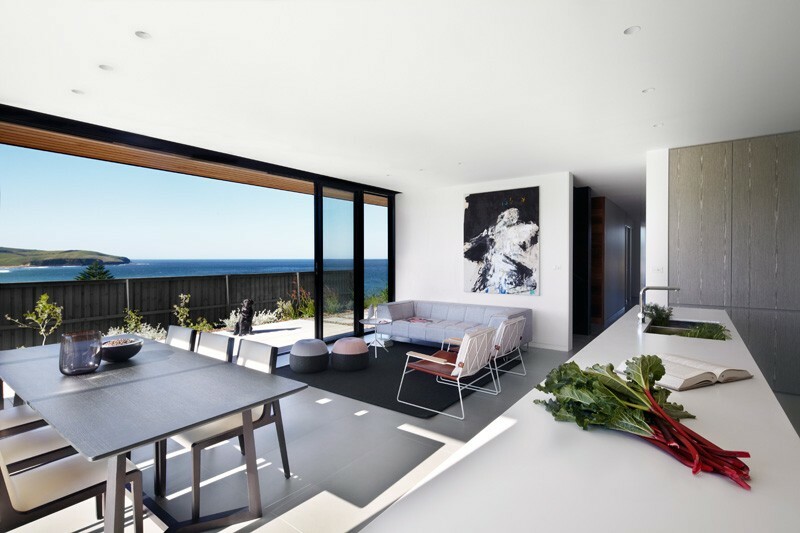 The strong natural light allows sun and shade to animate the architecture, making the house part of the ever-changing scenery of the ocean. 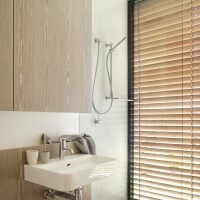 Builder: Peter Rein Pty Ltd.